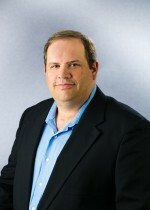 Albuquerque, N.M.-based REDW LLC (FY13 net revenue of $26.4 million) announced the hiring of Mike Chelius as a principal. He joins REDW after serving as a director at another Albuquerque-based CPA firm. Chelius has more than 17 years of experience in public accounting and specializes in the tax needs and concerns of businesses and the owners, primarily for local companies in New Mexico. His tax practice concentrates on providing an outstanding level of client service with expertise in real estate, construction, retail, corporate taxation, partnership taxation, estate and gifts, and fiduciary taxation.